4 Tips for First-Time Side-by-Side/UTV Drivers | Intimidator Inc.
Congratulations! You finally made the purchase of an Intimidator UTV. Life is about to get a little easier and a lot more fun. But wait! Before you crank up the engine on your brand new (or new to you) side-by-side, there are a few things you may want to keep in mind. Check out these tips for first time SXS drivers. Unless you plan on driving your SXS through a building like an airport or manufacturing plant with concrete floors, chances are high that you may find yourself getting a little dirty. A little dirt never hurt anyone, but you should be prepared. This means not wearing your Sunday best dress clothes or your favorite white jersey. Everyone also knows that it’s a sin to go around a mud puddle in a UTV, right? Get ready to live a little and wear clothes that you don’t mind getting stained. And if the trails are a little muddy, you may want to wear coveralls to keep mud from getting to places it really shouldn’t be. You may also want to store your phone and other non-waterproof electronics and devices to keep them clean and dry. 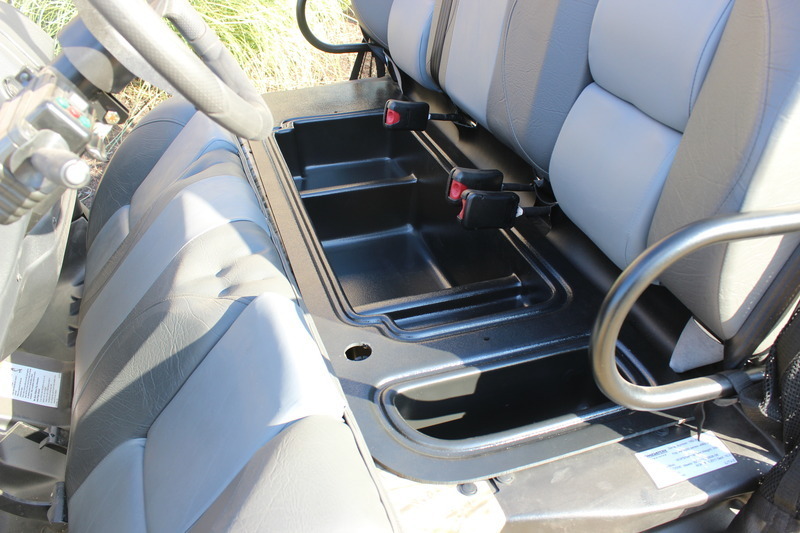 Intimidator UTV has a great under-seat storage compartment that fits perfectly in the Truck and Crew Cab Series. The thermoplastic tray is easy to install and made to withstand extreme conditions. Yes, slinging mud and stirring up dust is all fun until someone gets hurt. It’s important to take a few safety measures. 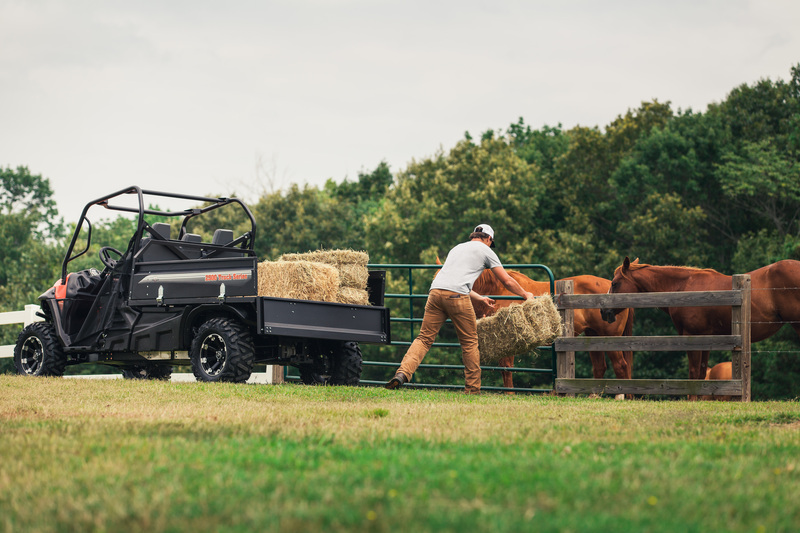 Most side-by-side UTVs come with standard safety features such as 3-point DOT approved seat belts, headlights, brake lights, and some form of ROPS. However, if you are planning on going fast and tackling terrain with bumps and turns, then there are a few things you may want to add such as a helmet and goggles. It is also advised that you wear long sleeves, pants, and appropriate shoes. Take your ride to the next level with a few customizations and upgrades. 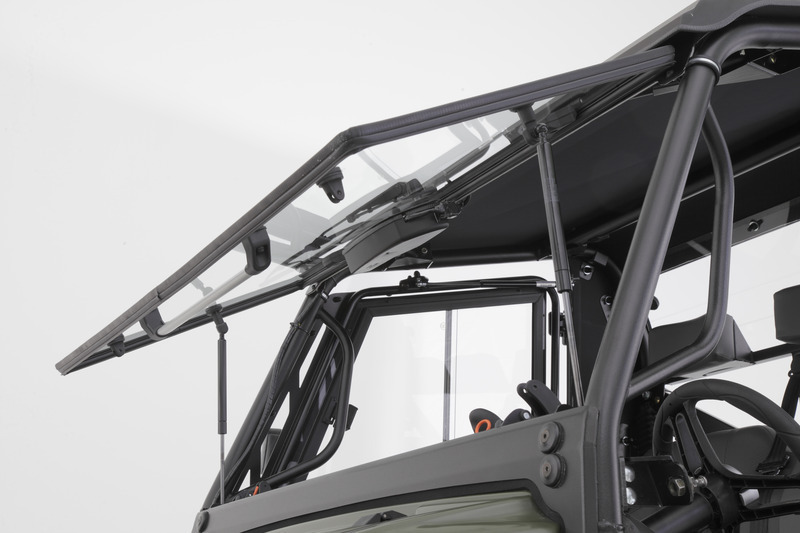 This includes adding a windshield and/or adding a hard top or full cab enclosure to keep you even safer and out of the elements. Check out Bad Dawg’s Tilting Glass Front Windshield. It’s great for those who want the protection when on out on a ride and the ability to tilt the window open to get a little air flow when taking things slow. Whether you have someone riding in the passenger seat or you are following a friend on the trail, it’s good to have someone with a little more experience showing you the ropes. 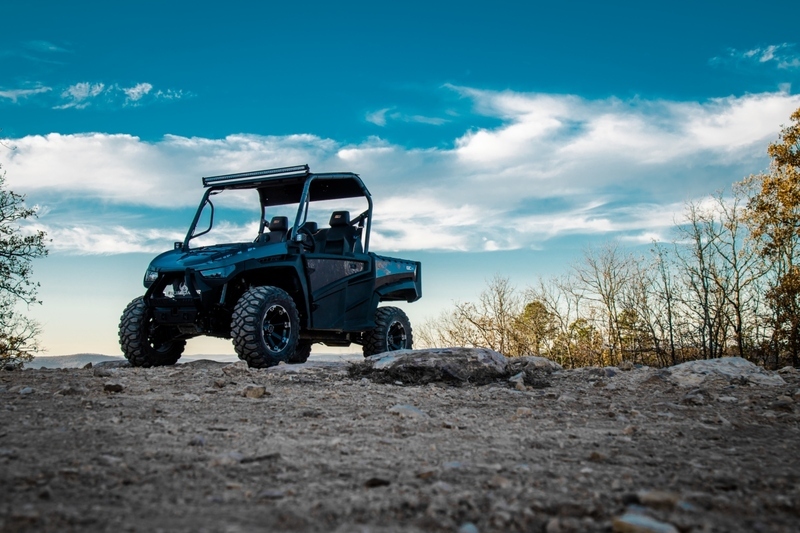 While driving a SXS/UTV is a lot like driving a car, your riding buddies can help you maneuver through tough terrain, show you what to do and what to stay away from, and give you valuable advice that you only get by doing it. If you don’t have a friend or two to show you the ropes of driving your UTV, don’t worry. ROHVA (Recreational Off-Highway Vehicle Association) offers a FREE online course and a hands-on driver course. The courses are designed to prepare each driver to understand and learn safe driving practices in order to help them DRIVE SMART. To learn more, visit ROHVA.org. We get it. You have a shiny new toy. However, one of the best things that you can do is read the owner’s manual for your specific utility vehicle. Learn which buttons do what, safety precautions for the model, and even get valuable maintenance tips. It’s also good to know if there are steps that need to be taken before hammering down on the accelerator. One of the worst things you can do to a brand new side-by-side is to get in the driver's seat and take off as fast as you can. Engines need time to “come alive”. It doesn’t take a long time for your engine to get to the capacity it was meant for, but it’s better to take it slow in the beginning to keep from messing up your big investment. Are you ready to ride? Get to an Intimidator UTV Dealer today and find the UTV that is perfect for you. Need a ride for the farm? The Intimidator Truck Series is just what you need to make the tough jobs a little easier. Need to stir up a little dust on the weekend? We have you covered with the Intimidator GC1K with a 1000cc engine that can get up to 65 mph. Need a stealthy hunting machine? 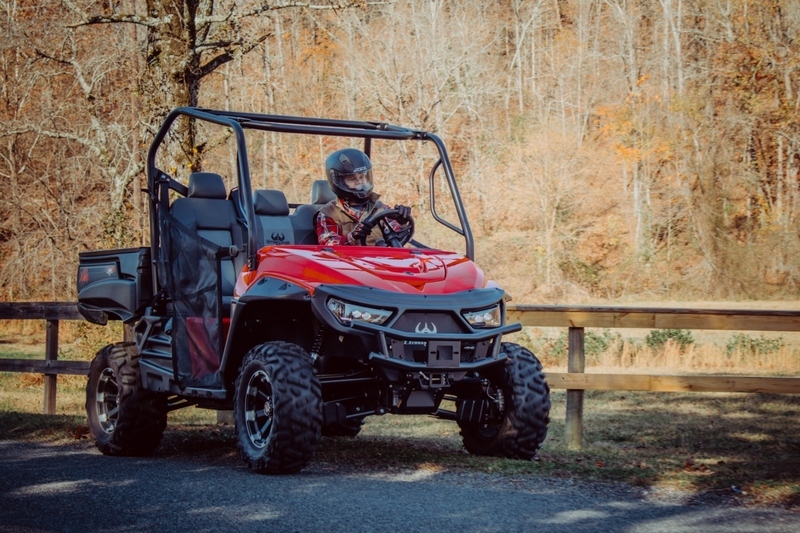 You won’t be disappointed in the Intimidator Classic UTV with an electric engine. Intimidators are designed to be the only UTV you will ever need. They are built to WORK, HUNT, and PLAY. 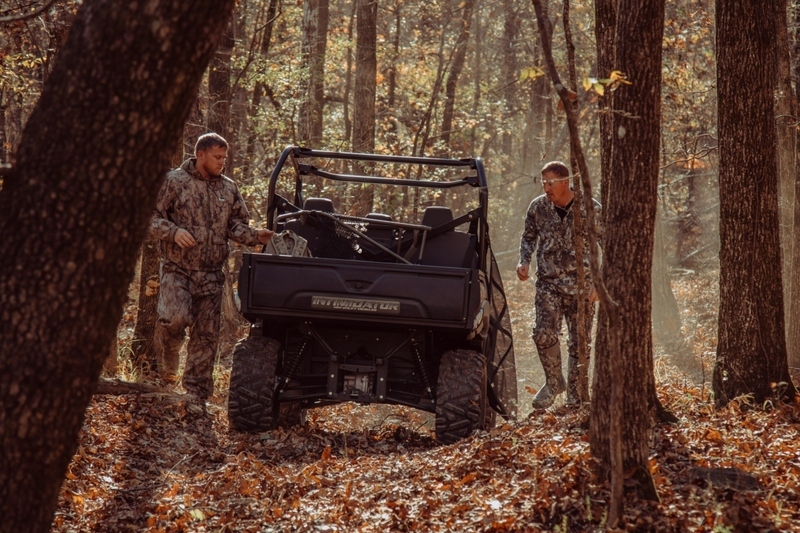 Want to know more about Intimidator UTVs? We have a growing network of dealers around the country. Use our DEALER LOCATOR to find a dealer near you and get ready to be impressed. You can also use our COMPARE MODELS tool to see which utility vehicle you should test drive first.